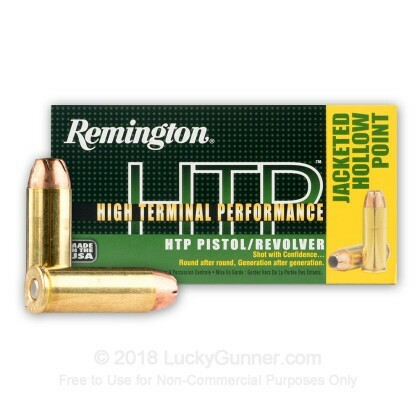 When it comes to choosing the right ammo for you self defense firearm, Remington's HTP ( High Terminal Performance) line for ammunition was designed to give you the confidence and performance you expect when it matters most. These 45 Long Colt jacketed hollow point cartridges were built using top end components to deliver superior performance both in terms of accuracy and instant-stopping power. Remington's HTP 230 grain projectiles are designed to deliver controlled expansion on impact for High Terminal Performance. 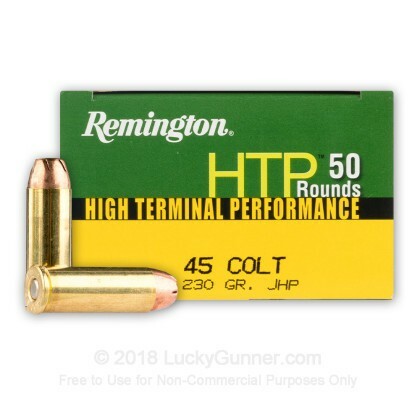 Just placed another order for a bunch of the Remington 45 Colt HTP ammo. Since receiving my previous order, I've been shooting it in my newish Ruger Redhawk. 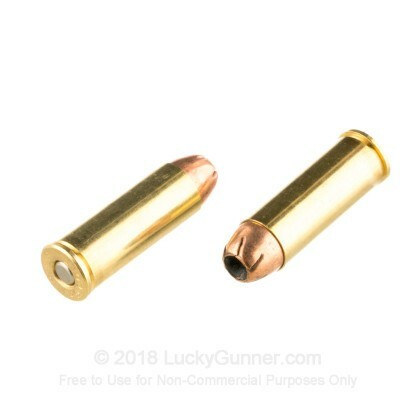 Call me crazy but I prefer jacketed ammo to lead and have found the Rem 230 gr HTP in 45 Colt to be high quality, clean burning ammo that produces exceptional accuracy out of the 4.2" barrel Redhawk. 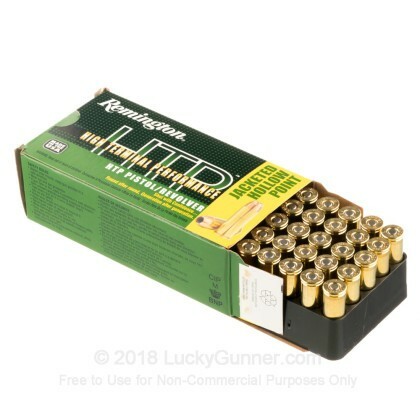 Thank you Lucky Gunner for offering this ammo at a super competitive price and for keeping your shipping rates at a reasonable level for us working folk who don't roll our own. Your fast shipping is also much appreciated! Keep up the great service! Hard to find the long colt ammunition. Hope you continue to stock it. I will be ordering more. I love them. Great punch. Will be buying more soon. This is by far, the best .45 Colt self defense ammo that you can buy. 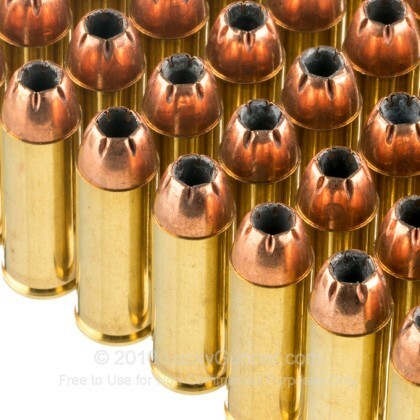 If you carry the Judge, or actually use a .45 colt single action for defense, this is the ammo to have. For a few pennies more than your lame cowboy action ammo, you can turn that .45 Colt into the lethal weapon that it was always meant to be. The components used are "top shelf", as you will see when you open the box, and pull that first round out. 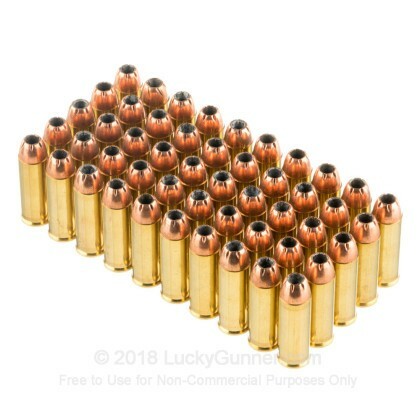 As a reloader of the .45 Colt, I have thousands of rounds on hand, But I always keep a few boxes of these on hand for self-defense. The price is comparable to local gunshops in my area, if you can find them.